CounterPoint Music and Arts Festival, a new three-day festival in Atlanta, Georgia happening September 27 - 29, has confirmed another round of artists to the 50+ performer lineup. Porter Robinson; Conspirator; Up Until Now feat. David Murphy of STS9; Adventure Club; Gardens & Villa; Oliver; Run DMT; Dr. Fameus; ABDECAF; Heroes & Villains; heRobust; Trench and Creative Loafing contest winner, Cousin Dan round out the bill of heavy-hitters, making this weekend a non-stop dance party fans won't want to miss. Bassnectar; Skrillex; Pretty Lights; AVICII; Steve Angello; M83; Excision; Laidback Luke; Alesso; Crystal Castles; Big Boi; Zeds Dead; Big Gigantic; Wale; Ghostland Observatory; A-Trak; Atmosphere; Toro Y Moi; Lotus; Feed Me; MiM0sa; Washed Out; Zedd; R3HAB; Theophilus London; Reptar; 12th Planet; Beats Antique; Super Mash Bros; Emancipator; Poliça; Alvin Risk; Savoy; Zoogma; Paper Diamond; Treasure Fingers; 3LAU; Gramatik; Archnemesis; Lance Herbstrong; The M Machine; Michal Menert; Mr. MFN eXquire; Tokimonsta; SuperVision; Com Truise; Nobody Beats The Drum; Paul Basic; Nick Catchdubs; Mayhem; Audrey Napoleon; Street Lurkin; Mantis; Sorted; DJ Mel and Skrause. Additional details about this year’s festival will be announced in the coming weeks. Also new to the fall festival is the addition of special label curated tents. The tents are hosted by the Electro/Hip-Hop/Soul label Pretty Lights Music and A-Trak and Nick Catchdubs' label Fools Gold Records. The Pretty Lights Music Tent will be showcasing up-and-coming DJs from the label, including: Paul Basic, SuperVision, Michal Menert, and Gramatik. 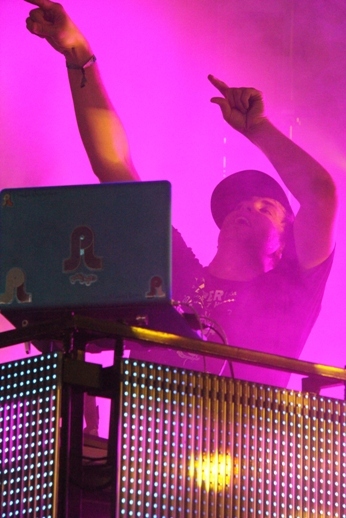 Label namesake, Pretty Lights, will be a part of CounterPoint's Main Stage lineup. Fools Gold will bring their "Fools Gold Clubhouse," a series of festival events and performances that showcase some of the most exciting names from the label's roster and extended family. 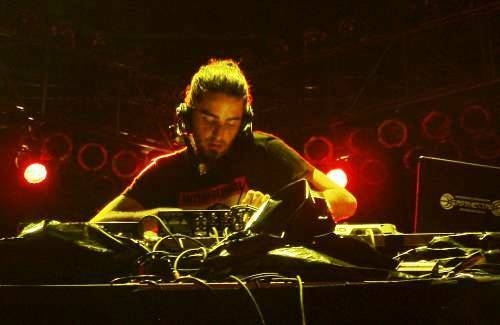 The CounterPoint edition of the Clubhouse will include DJ sets from label co-founder Nick Catchdubs, Oliver, Treasure Fingers and the other half of Fools Gold, A-Trak. "Fools Gold has been throwing parties for as long as we've been releasing records," says label co-founder Nick Catchdubs." We designed our festival stages so we could take that feel-good vibe on the road. It will be especially fun to bring the Clubhouse to a brand-new festival like CounterPoint, where we get to be the pioneers of this uncharted territory." The multi-stage festival with camping options will be held at the location of 2007's The Echo Project, a 350-acre, scenic Chattahoochee River front property located approximately a 30-minute travel time from Downtown Atlanta, Georgia. CounterPoint will bring all the amenities of the the city to the pristine festival site. Elements such as preferred viewing areas, multiple VIP levels, luxury camping options and car service will be available. Daily express shuttle service to and from Atlanta and Athens as well as day parking will also be offered for those guests not wishing to camp onsite. Long distance shuttles with stops in all the major metro areas, within seven hours of the event, are also being provided. For the month of July, CounterPoint is offering a 50% down payment plan option with two subsequent payments of 25% due on August 1 and September 1, 2012. Tickets are available $165 while supplies last, at www.counterpointfestival.com or by calling 1-888-512-SHOW (7469). All-inclusive VIP Experience packages are available, starting at $365 and $565 for the VIP Platinum Experience package. CounterPoint Music and Arts Festival is produced by C3 Presents and MCP Presents in conjunction with promotional partner Liquified. Visit www.counterpointfestival.com for the most up-to-date information. Stay connected on Twitter and on Facebook.